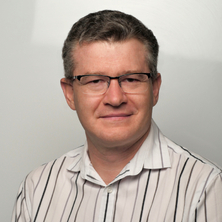 Associate Professor Pierre Benckendorff is an award-winning researcher specialising in visitor behaviour, technology enhanced learning and tourism. He has held several teaching and learning leadership positions at The University of Queensland and James Cook University in Australia. His experience includes coordinating a team of teaching and learning staff, program quality assurance and accreditation, and curriculum reviews of undergraduate and postgraduate coursework programs in business, tourism, hospitality and event management. He has developed and taught undergraduate and postgraduate courses in introductory tourism management, international tourism, tourist behaviour, tourism and leisure futures, tourism transportation, tourism operations, tourism technologies, tourism analysis, business skills and marketing communications. Pierre has been actively involved in a number of national teaching and learning projects totalling close to AUD 1 million in grant funding. In 2007, he received a national Carrick citation for outstanding contributions to student learning. Pierre was part of the national team that developed the Learning and Teaching Academic Standards for Tourism, Hospitality and Events and has continued to co-lead efforts to embed and measure these standards under the auspices of CAUTHE. He is currently the co-chair of knowledge creation for the BEST Education Network and in this capacity, has worked with the World Travel and Tourism Council to edit a book of international cases based on Tourism for Tomorrow award finalists and winners. He is the co-editor of the Handbook of Teaching and Learning in Tourism. Pierre serves regularly as an external reviewer of tourism programs in Australia and overseas institutions. His research interests include visitor behaviour, tourism information technologies, and tourism education and training. He has authored over 80 publications in these areas in leading international journals and is a regular speaker at tourism research conferences. He is on the editorial board of several leading tourism journals and is a regular reviewer of papers. He has also co-authored one of the leading textbooks on tourism and information technology. He has served as a judge for the Queensland Tourism Awards as well as the Australian Tourism Awards. His passion for travel and tourism has taken him to some of the world’s leading theme parks and airports, the major cities of Europe and North America, the African Savannah and the bustling streets of Asia. He has also travelled extensively throughout Australia and New Zealand. Aplications of smart technologies, social media and artificial intelligence in marketing, interpretation, wayfinding, service and experience design. Most of my research projects in the consumer behaviour area are concerned with better understanding travellers and this has management implications for the management and marketing of visitor experiences. Journal Article: Australian Honours degrees: the last bastion of quality? Benckendorff, Pierre, Sheldon, Pauline and Fesenmaier, Daniel Tourism Information Technology 2nd ed. Wallingford, Oxford, UK: CAB International, 2014.
International cases in sustainable travel & tourism. Edited by Pierre Benckendorff and Dagmar Lund-Durlacher Oxford, United Kingdom: Goodfellow Publishers, 2013. Tourism and Generation Y. Edited by Pierre Benckendorff, Gianna Moscardo and Donna Pendergast Oxfordshire, United Kingdom: CAB International, 2010. Benckendorff, Pierre, Moscardo, Gianna and Pendergast, Donna Tourism and generation Y. CABI Publishing, 2009. Chen, Lynn I-Ling, Scott, Noel and Benckendorff, Pierre (2017). Well-being benefits from mindful experiences. In Noel Scott, Jun Gao and Jianyu Ma (Ed. ), Visitor experience design (pp. 175-188) Boston, MA, United States: CAB International. Benckendorff, Pierre and Moscardo, Gianna (2015). Generation Y and the curriculum space. In Dianne Dredge, David Airey and Michael Gross (Ed. ), The Routledge Handbook of Tourism and Hospitality Education (pp. 422-439) Oxon, U. K.: Routledge (Taylor & Francis). Dredge, Dianne, Benckendorff, Pierre, Day, Michele, Gross, Michael J., Walo, Maree, Weeks, Paul and Whitelaw, Paul A. (2015). The philosophical practitioner and the curriculum space. In Dianne Dredge, David Airey and Michael J. Gross (Ed. ), The Routledge Handbook of Tourism and Hospitality Education (pp. 55-72) New York, NY United States: Routledge. Benckendorff, Pierre and Moscardo, Gianna (2013). Generational cohorts and ecotourism. In Roy Ballantyne and Jan Packer (Ed. ), International handbook on ecotourism (pp. 135-154) Cheltenham, United Kingdom: Edward Elgar. Murphy, Laurie, Moscardo, Gianna and Benckendorff, Pierre (2013). Understanding tourist shopping village experiences on the margins. In Jenny Cave, Lee Jolliffe and Tom Baum (Ed. ), Tourism and Souvenirs: Glocal Perspectives from the Margins (pp. 132-146) Bristol, United Kingdom: Channel View Publications. Benckendorff, Pierre and Pearce, Philip L. (2012). The psychology of events. In Stephen J. Page and Joanne Connell (Ed. ), The Routledge handbook of events (pp. 165-185) Abingdon, Oxon, U.K.: Routledge. Tourism and quality of life: How does tourism measure up? Moscardo, Gianna, Murphy, Laurie and Benckendorff, Pierre (2011). Generation Y and travel futures. In Ian Yeoman, Cathy H. C. Hsu, Karen A. Smith and Sandra Watson (Ed. ), Tourism and demography (pp. 87-100) Woodeaton, Oxford: Goodfellow Publishers. Benckendorff, Pierre (2011). Tourism management case study: Skyrail Rainforest Cableway. In D. Waddell, J.M. George and G.R. Jones (Ed. ), Contemporary Management 2nd ed. (pp. 481-486) Australia: McGraw-Hill Australia. Moscardo, Gianna and Benckendorff, Pierre (2010). Mythbusting: Generation Y and travel. In Pierre Benckendorff, Gianna Moscardo and Donna Pendergast (Ed. ), Tourism and Generation Y (pp. 16-26) Oxfordshire, U.K.: CAB International. Benckendorff, Pierre and Moscardo, Gianna (2010). Understanding Generation-Y tourists: Managing the risk and change associated with a new emerging market. In Pierre Benckendorff, Gianna Moscardo and Donna Pendergast (Ed. ), Tourism and Generation Y (pp. 38-46) Oxfordshire, U.K.: CAB International. Murphy, Laurie, Moscardo, Gianna, Benckendorff, Pierre and Pearce, Philip (2008). Tourist shopping villages: Exploring success and failure. In Arch G. Woodside and Drew Martin (Ed. ), Tourism management: Analysis, behaviour and strategy (pp. 405-423) Wallingford, UK ; Cambridge, MA: CAB International. Benckendorff, Pierre (2006). Attractions megatrends. In Dimitrios Buhalis and Carlos Costa (Ed. ), Tourism business frontiers: Consumers, products and industry (pp. 200-210) Amsterdam; Boston: Elsevier Butterworth-Heinemann. Australian Honours degrees: the last bastion of quality? Hughes, Karen, Mylonas, Aliisa and Benckendorff, Pierre (2013) Students’ reflections on industry placement: comparing four undergraduate work integrated learning streams. Asia-Pacific Journal of Cooperative Education, 14 4: 265-279. Benckendorff, Pierre, Moscardo, Gianna and Pendergast, Donna (2009) Introduction. Tourism and Generation Y, . Benckendorff, Pierre (2006) An exploratory analysis of traveler preferences for airline website content. Information Technology and Tourism, 8 3-4: 149-159. Benckendorff, Pierre J. and Black, Neil L. (2000) Destination marketing on the Internet: A case study of Australian Regional Tourism Authorities. Journal of Tourism Studies, 11 2: 11-21. Benckendorff, Pierre, Lohmann, Gui, Pratt, Marlene, Reynolds, Paul, Strickland, Paul and Whitelaw, Paul (2015). Enhancing student learning outcomes with simulation-based pedagogies. In: T. Reiners, B. R. von Konsky, D. Gibson, V. Chang, L. Irving and K. Clarke, Globally connected, digitally enabled: proceedings ascilite 2015 in Perth. Australasian Society for Computers in Learning and Tertiary Education (ascilite), Perth, WA, Australia, (618-620). 29 November - 2 December 2015. Benckendorff, Pierre (2015). Using expectation confirmation theory to understand the learning outcomes of online business simulations. In: T. Reiners, B. R. von Konsky, D. Gibson, V. Chang, L. Irving and K. Clarke, Globally connected, digitally enabled: proceedings ascilite 2015 in Perth. Australasian Society for Computers in Learning and Tertiary Education (ascilite), Perth, WA, Australia, (379-383). 29 November - 2 December 2015. Chen, I-Ling (Lynn), Scott, Noel and Benckendorff, Pierre (2014). An exploration of mindfulness theories in Eastern and Western philosophies. In: P. Monica Chien, Tourism and Hospitality in the Contemporary World: Trends, Changes & Complexity Proceedings of the 24th Annual Conference CAUTHE 2014. CAUTHE Conference 2014, Brisbane, Australia, (164-175). 10-13 February 2014. Crises, conundrums and curricula: A new golden age for tourism, hospitality and event management education? Dredge, Dianne, Benckendorff, Pierre, Day, Michele, Gross, Michael, Walo, Maree, Weeks, Paul and Whitelaw, Paul (2012). Crises, conundrums and curricula: A new golden age for tourism, hospitality and event management education?. In: Clare Lade and Lisa Melsen, CAUTHE 2012: The new golden age of tourism and hospitality; Book 1; Proceedings of the 22nd Annual Conference. 22nd Annual CAUTHE Conference 2012, Melbourne, Australia, (152-170). 6-9 February 2012. Day, Michele, Walo, Maree, Weeks, Paul, Dredge, Dianne, Benckendorff, Pierre, Gross, Michael J. and Whitelaw, Paul (2011). Blending the vocational and the liberal: A snapshot of tourism and hospitality undergraduate degrees at Australian universities. In: Michael J. Gross, Tourism: Creating a Brilliant Blend: Proceedings of the 21st Annual CAUTHE Conference. Council of Australian University Tourism and Hospitality Educators National Conference, Adelaide, SA, Australia, (1-6). 8-11 February 2011. Dredge, Dianne, Benckendorff, Pierre, Day, Michele, Gross, Michael J., Walo, Maree, Weeks, Paul and Whitelaw, Paul (2011). Conceptualising the perfect blend in the tourism and hospitality education curriculum space. In: Michael J. Gross, Tourism: Creating a Brilliant Blend: Proceedings of the 21st Annual CAUTHE Conference. Council of Australian University Tourism and Hospitality Educators National Conference, Adelaide, Australia, (1-19). 8-11 February 2011. Moscardo, Gianna, Benckendorff, Pierre and Murphy, Laurie (2011). Exploring patterns of satisfaction and shopping motivation in a tourist shopping village. In: M. Joppe, 2011 TTRA Proceedings. 42nd Annual Travel and Tourism Research Association (TTRA) International Conference, London, Ontario, Canada, (). 19-21 June 2011. Benckendorff, Pierre (2010). Exploring the limits of tourism research collaboration: A social network analysis of co-authorship patterns in Australian and New Zealand tourism research. In: Proceedings of CAUTHE 2010: Challenge the Limits. 20th Annual Council for Australian University Tourism and Hospitality Education Conference (CAUTHE 2010), Hobart, Australia, (). 8-11 February 2010. Benckendorff, Pierre and Blackman, Anna (2010). Learning and earning: What can business students learn from part-time employment. In: Matthew Campbell, Proceedings: Work Integrated Learning – Responding to Challenges. 2010 ACEN National Conference, Perth, WA, Australia, (20-32). 29 September-1 October, 2010. Sustainable luxury: oxymoron or comfortable bedfellows? Moscardo, Gianna and Benckendorff, Pierre (2010). Sustainable luxury: oxymoron or comfortable bedfellows?. In: Mathilda van Niekerk, Willie Coetzee and Sue Geldenhuys, Proceedings of Global Sustainable Tourism Conference. Global Sustainable Tourism, Nelspruit, South Africa, (709-728). 15-19 November, 2010. Givney, Sarah and Benckendorff, Pierre (2009). The role of local government in developing small tourism enterprises in regional destinations. In: J. Carlsen, M. Hughes, K. Holmes and R. Jones, CAUTHE 2009 : See Change : Tourism & Hospitality in a Dynamic World. CAUTHE International Research Conference: See Change: Tourism & Hospitality in a Dynamic World, Fremantle, NSW, Australia, (68-96). 10-13 February 2009. Benckendorff, Pierre (2009). Using wikis to help first year students develop collaborative knowledge management skills for tomorrow. In: Jason Thomas, First Year in Higher Education Conference 2008 : aspiration, access, achivement. Pacific Rim Conference on the First Year in Higher Education, Townsville, QLD, Australia, (1-10). 29 June -1 July 2008. Benckendorff, Pierre (2009). What do sustainable tourism researchers value? An analysis of citations from the Journal of Sustainable Tourism (1999-2008). In: Think Tank IX, Singapore, (). 15-18 June 2009. Murphy, Laurie, Pearce, Philip, Benckendorff, Pierre and Moscardo, Gianna (2008). Tourist shopping villages: Challenges and issues in developing regional tourism. In: S. Richardson, L. Fredline, A. Patiar and M. Ternel, Proceedings of the 18th Annual Council for Australian University Tourism and Hospitality Education (CAUTHE) Conference. CAUTHE 2008 Conference, Gold Coast, QLD, Australia, (1-14). 11-14 February 2008. Benckendorff, Pierre (2008). Using wikis to enhance the creative collaboration and knowledge management skills of tourism students. In: Scott Richardson, Liz Fredline, Anoop Patiar and Megan Ternel, Proceedings of the 18th Annual Council for Australian University Tourism and Hospitality Education (CAUTHE) Conference. Tourism and Hospitality Research, Training and Practice: Where the 'Bloody Hell' Are We?, Gold Coast, QLD, Australia, (1-14). 11-14 February 2008. Benckendorff, P., Moscardo, G. and Murphy, L. (2007). Contrasting online and onsite sampling methods: Results of visitor responses to a destination survey. In: R. Neil Moisey and William C. Norman, Beating the odds with tourism research : 38th annual conference proceedings, Travel and Tourism Research Association. Beating the Odds with Tourism Research: Travel and Tourism Research Association 38th Annual Conference, Las Vegas, Nevada, U.S.A, (13-22). 17-20 June. Benckendorff, P. (2007). Exploring the flexible learning preferences of business and commerce students using a learner segmentation approach. In: Davies, Martin and Lever, Rebecca, Forum proceedings of the Quantitative Analysis of Teaching and Learning in Higher Education in Business, Economics and Commerce. Quantitative Analysis of Teaching and Learning in Higher Education in Business, Economics and Commerce 3rd Annual Forum, Melbourne, Australia, (153-173). 9 February 2007. Benckendorff, Pierre (2007). Exploring the flexible learning preferences of tourism and hospitality management students. In: Ian McDonnell, Simone Grabowski and Roger March, CAUTHE 2007 : Tourism - past acheivements, future challenges. Past Achievements, Future Challenges : 17th Annual CAUTHE Conference, Manly, Australia, (1-16). 11-14 February. Moscardo, G. and Benckendorff, P. (2007). Misunderstanding Generation Y: Risks for tourism managers. In: Moisey, R.N. and Norman, W.C., Travel and Tourism Research Association 38th Annual Conference Proceedings. Beating the Odds with Tourism Research: Travel and Tourism Research Association 38th Annual Conference, Las Vegas, Nevada, United States, (203-211). 17-20 June 2007. Benckendorff, Pierre (2006). Approaches to monitoring change in the business environment of tourist attractions. In: Paul A. Whitelaw and G. Barry O’Mahony, To the City and Beyond: Proceedings of the 2006 Council for Hospitality and Tourism Educators Conference. CAUTHE 2006 Conference: To the City and Beyond, Melbourne, VIC, Australia, (249-265). 6-9 February 2006. Can regional destinations really have a brand personality? Murphy, Laurie, Moscardo, Gianna and Benckendorff, Pierre (2006). Can regional destinations really have a brand personality?. In: Papageorgiou, G., Cutting Edge Research in Tourism: New directions, challenges and applications. Cutting Edge Research in Tourism: New directions, challenges and applications, Surrey, United Kingdom, (1-16). 6-9 June 2006. Benckendorff, P. (2006). Profiling users of airline web sites based on their content preferences. In: Jennings, G.R. and Beeton, S., 37th annual conference proceedings : Travel and Tourism Research Association. New frontiers in global tourism: Trends and competitive challenges, Dublin, Ireland, (51-62). June 18-20 2006. Murphy, Laurie, Moscardo, Gianna and Benckendorff, Pierre (2006). Visitor and stakeholder perceptions of destination brand personality: An analysis of a regional Australian tourism destination. In: Gayle R. Jennings and Sue Beeton, 37th Annual Conferenc Proceedings : Travel and Tourism Research Association : New frontiers in Global Tourism - Trends and Competitive Challenges. Travel and Tourism Research Association 37th Annual Conference, Dublin, Ireland, (508-516). 18-20 June 2006. Benckendorff, Pierre, Moscardo, Gianna and Murphy, Laurie (2006). Visitor perceptions of technology use in tourist attraction experiences. In: G. Papageorgiou and E. Szivas, Cutting Edge Research in Tourism: New Directions, Challenges and Applications. Cutting Edge Research in Tourism: New Directions, Challenges and Applications, Guildford, U.K., (1-17). 6-9 June 2006. Benckendorff, P., Moscardo, G. and Murphy, L. (2005). Contrasting high-tech and high touch experiences in tourist attractions. In: Suh, Seung-Jin and Hwang, Yeong-Hyeon, The 11th APTA conference proceedings : new tourism for Asia-Pacific. New Tourism for Asia-Pacific, Goyang, Korea, (638-649). 7-10 July 2005. Murphy, L., Moscardo, G. and Benckendorff, P. (2005). Do destination brands really have a personality? A comparison of two coastal tourism destinations in Australia. In: Moisey, R.N. and McGehee, N.G., 36th Annual Conference Proceedings Travel and Tourism Research Association; The Three R's: Research, Results, Rewards. The three R's: research, results, rewards, New Orleans, Louisiana, United States, (76-85). 12-15 June 2005. The authenticity paradox: Tourism communication in an era of curated perfection.